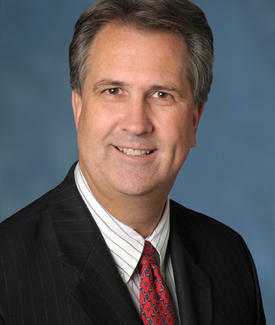 Mr. Horning focuses on resolving disputes concerning intellectual property, commercial and investment real estate, trusts and estates, and business matters. Results for his clients include jury trial verdicts of $19.8 million and $1.5 million, an arbitration award of $1.6 million, a mediated settlement of $3.5 million, summary judgment of $1.6 million, and complete defense of patent and trademark claims by summary judgment in federal court. He has never lost an arbitration. Mr. Horning practiced for eight years at the firm known then as Gray Cary Ware & Freidenrich LLP, a predecessor of DLA Piper LLP (US). He founded California Business Law Group, PC in 2002. Mr. Horning is an Adjunct Professor of Law at the University of San Diego School of Law where he has been teaching since 2006. He currently teaches Real Property Transactions, and an Experiential Advocacy practicum. Mr. Horning graduated with high honors from University of San Diego School of Law in 1994. He attended at law school at night while working full time for the Port of San Diego handling commercial waterfront and airport lease matters, and as acting Airport Manager for San Diego International Airport, Lindbergh Field. Mr. Horning’s law career follows 14 years’ experience in business, real estate and government. Before practicing law, Mr. Horning was a commercial real estate broker and developer in Phoenix, Arizona. He served as CFO and Vice President for Finance during the initial public offering of Sunrise Preschools, Inc., a regional preschool chain. Kiev, Ukraine, the Christian Legal Society National Conference, and San Diego County Bar Association. Mr. Horning loves camping and hiking, and is an avid sailor, keyboardist and photographer.